Welcome to Norbury Park! 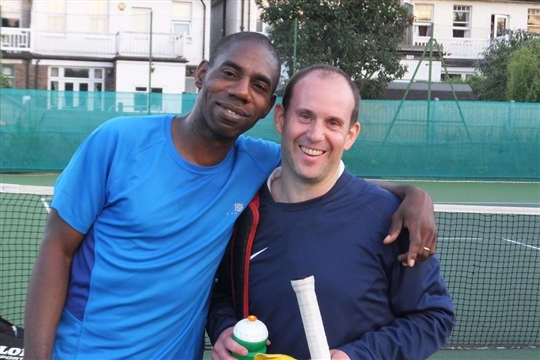 We are a friendly tennis club which has been based in Ederline Avenue between Norbury and Thornton Heath since 1889. We have four well-maintained tarmacadam tennis courts with floodlights that members can use between 8am and 10pm daily. Flexible membership: All adult membership packages include use of the floodlights, and there are no additional charges to use the courts. Adults can pay annually or monthly by direct debit. There are discounts for students and out-of-town members. 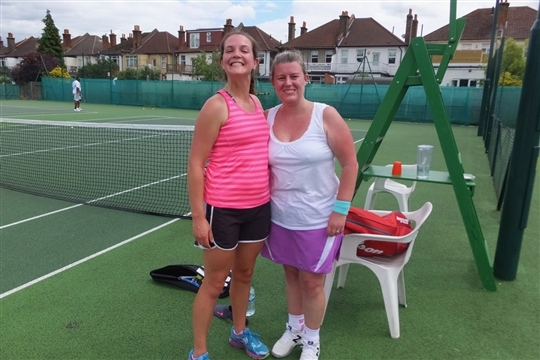 Club Sessions: Saturday afternoon is reserved for social tennis, where members come together to play social doubles. It's a great way to meet other members, play some good doubles and generally enjoy life at the club. Mens and ladies team training is on Tuesday and Thursday evenings respectively. Competitive Tennis: We run a range of tournaments to suit all abilities - including box leagues, American Tournaments, Tie-Break Tens, and an annual Club Championship each year. Norbury Park's 8 teams play in the Surrey League and we are the current holders of the Millennium Cup, a friendly tournament against other clubs in the area. Coaching: With our team of LTA Licenced coaches, led by Head Coach David Lovejoy, Norbury Park offers extensive individual and group coaching programmes for adults and juniors of all abilities. The hugely popular adult improve coaching session is Wendesday evenings at 7pm. Our lively mini-tennis programme is available for children over 4 (membership not required). Pay and Play: Are you an occassional player? We open our courts for Pay and Play on weekdays until 5pm and on Fridays to 10pm. The fee is £6 per court per hour. Not sure about joining? Why not try out fantastic Introductory Offer. For just £49 you get two months membership and 6 group lessons. See the membership page for details. The clubhouse at Norbury Park is available to hire for parties, meeting and events. Why not take pay monthly for your membership? Only £24 a month for full adult membership.